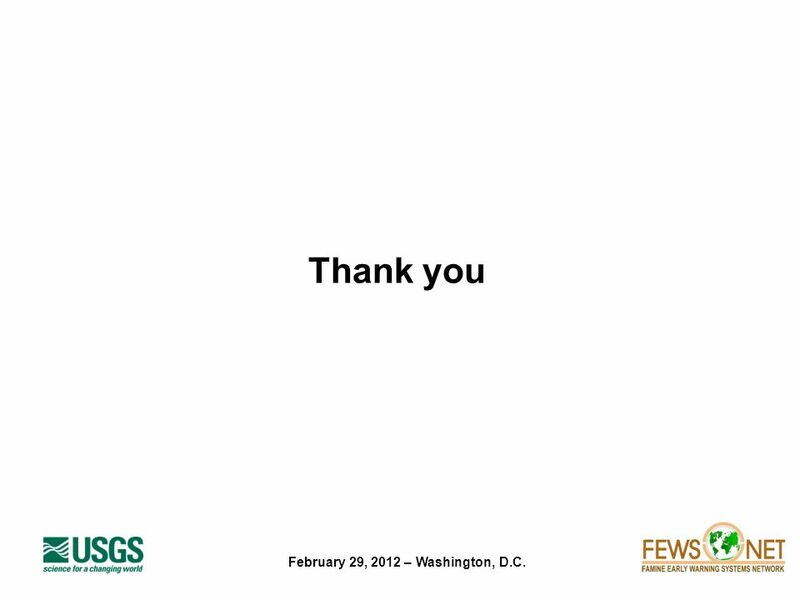 U.S. Department of the Interior U.S. Geological Survey February 29, 2012 – Washington, D.C. 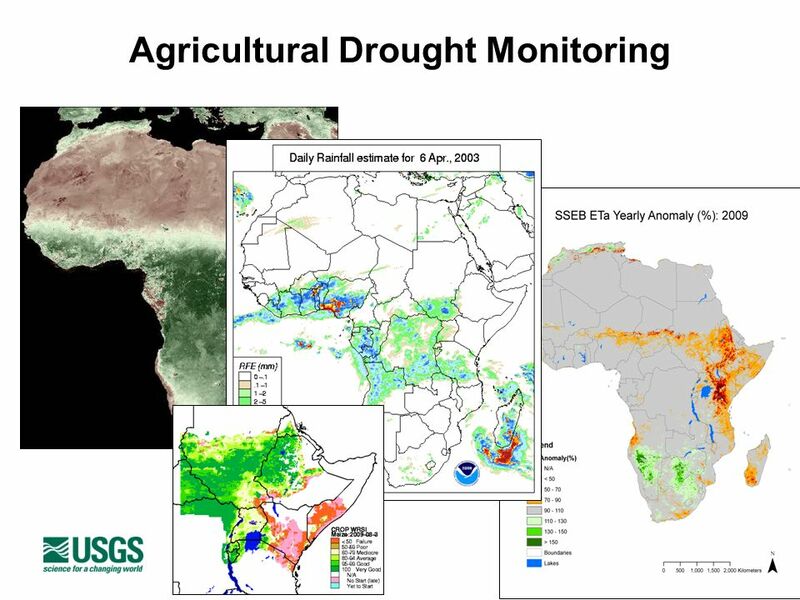 Detection and Monitoring of Agricultural Drought for Famine. 2 February 29, 2012 – Washington, D.C. 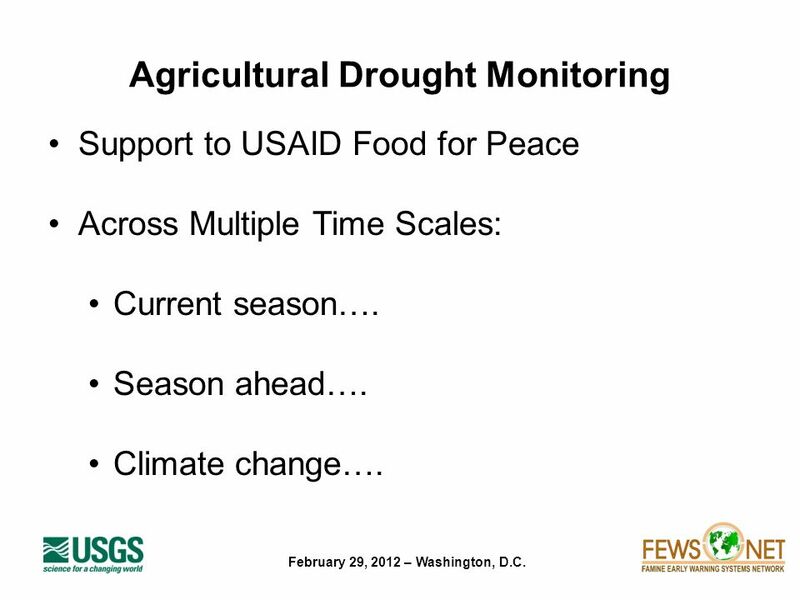 Agricultural Drought Monitoring Support to USAID Food for Peace Across Multiple Time Scales: Current season…. Season ahead…. Climate change…. 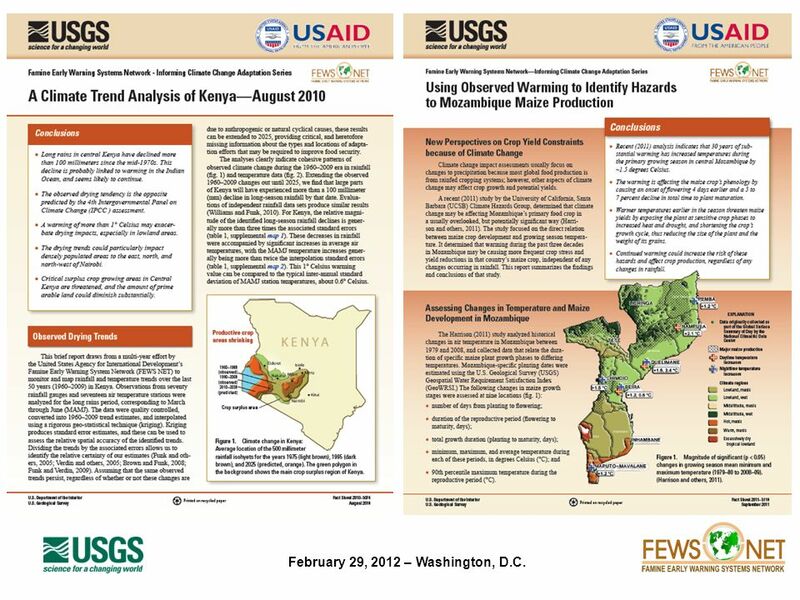 10 February 29, 2012 – Washington, D.C.
Download ppt "U.S. Department of the Interior U.S. Geological Survey February 29, 2012 – Washington, D.C. 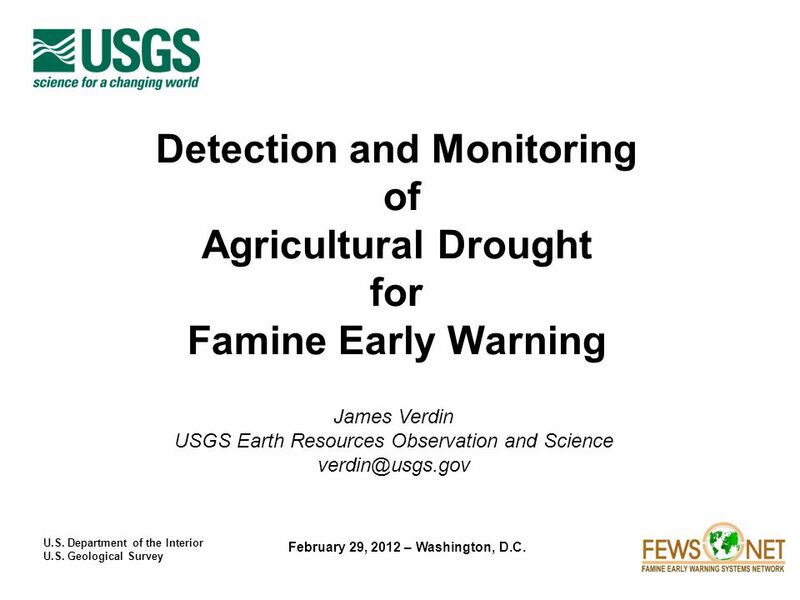 Detection and Monitoring of Agricultural Drought for Famine." 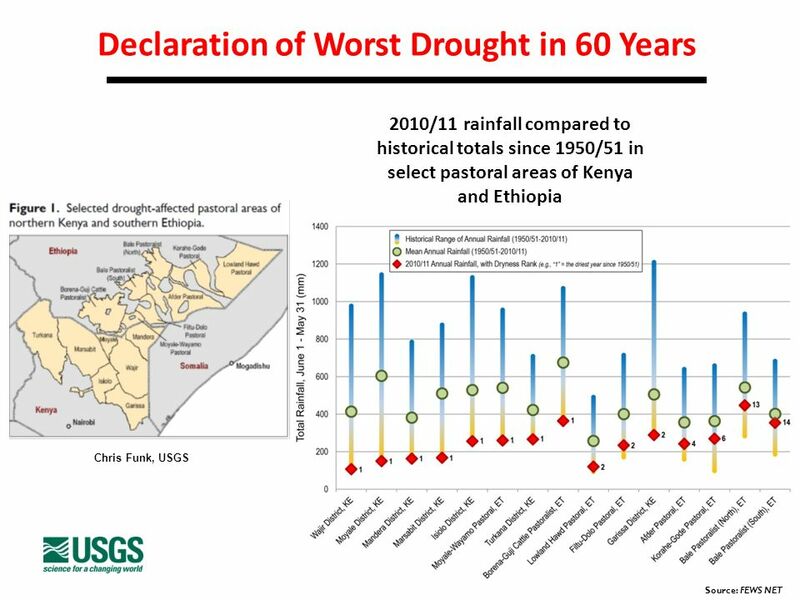 CLIMATE RISK: REVIEW OF PROGRESS IN SCIENCE AND TECHNOLOGY L.A.OGALLO IGAD CLIMATE AND APPLICATIONS CENTRE (ICPAC) Dept. of. Bonn, 16 October Climate Risk and Early Warning Integrating all of the factors of disaster risk, across time scales of days to decades Second International. U.S. Department of the Interior U.S. Geological Survey Agency Report, WGISS #22 September 15, 2006 Lyndon R. Oleson U.S. Geological Survey Center for Earth. Current Warning System of India Meteorological Department. CLIMATE SERVICES FOR THE MOST VULNERABLE Jan Egeland (Co-chair of the High-Level Taskforce For the Global Framework for Climate Services) 1 December 2010. Climate services for enhanced risk management, food security and resilience Inter-Agency Consultation Meeting on User Interface Platform (UIP), 26 September. Welcome to the Cloud Nasara! Vulnerability to near-term warming in the Sahel Laura Harrison UCSB Geography Climate Hazards Group Famine Early Warning System Network. WMO MESSAGE ON THE OCCASION OF THE PLENARY EVENT OF THE UNITED NATIONS COMMITTEE ON THE PEACEFUL USES OF OUTER SPACE (UN COPUOS) (Hyderabad, India, 25. 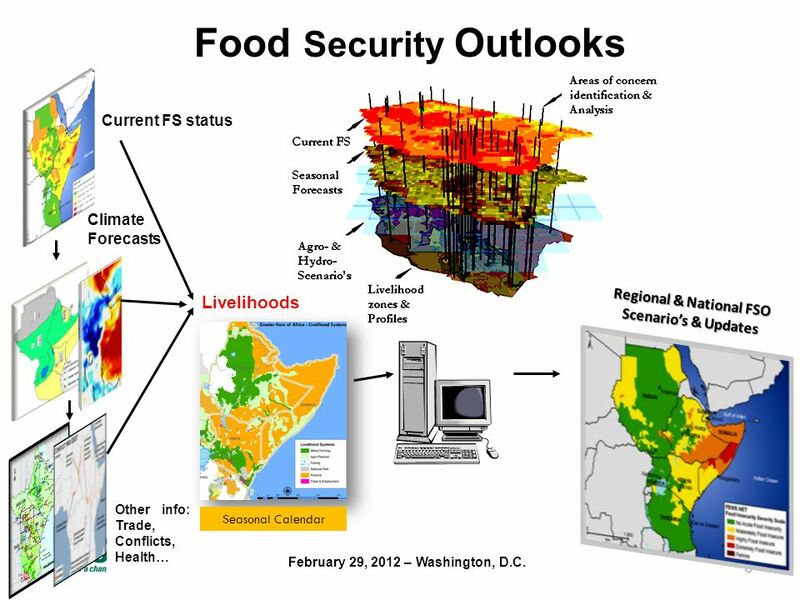 THE USE OF REMOTE SENSING DATA/INFORMATION AS PROXY OF WEATHER AND CLIMATE IN THE GREATER HORN OF AFRICA Gilbert O Ouma IGAD Climate Applications and Prediction. Pastoralism and climate change: Exposures, vulnerabilities and possible adaptations Andrei Marin Noragric. Climate Change Floods and Droughts Alyssa Corrigan. 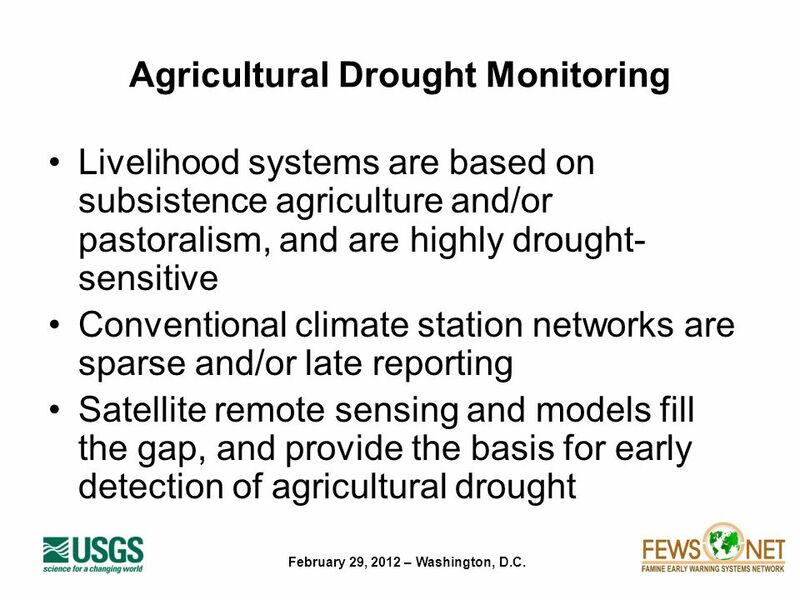 U.S. Department of the Interior U.S. Geological Survey Michael Budde, James Verdin, and James Rowland USGS – FEWS NET Sentinel-2 Agriculture User Consultation. Oct 12, 2010 Hydrologic Early Warning System for East Africa Ashutosh Limaye, John Gitau, Eric Kabuchanga CRAM Workshop September 26, 2011. 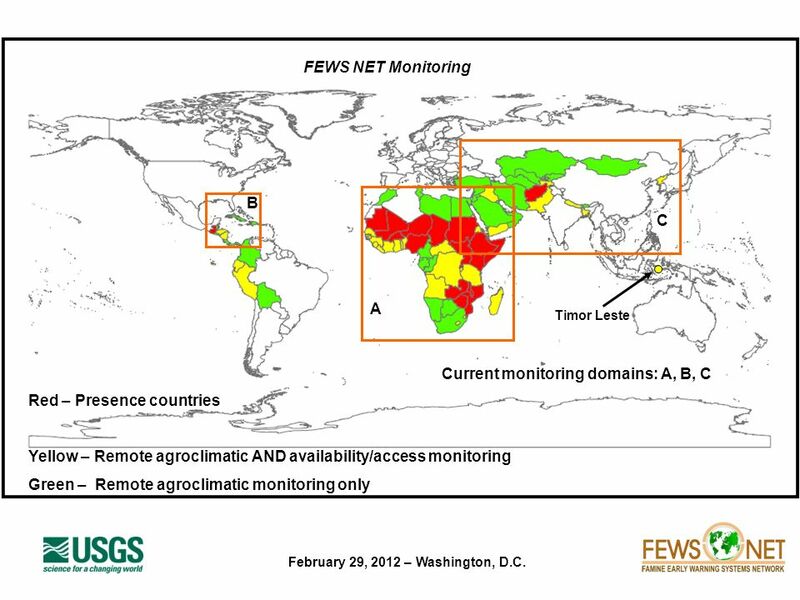 Famine Early Warning System Network (FEWS NET) Venkatesh Merwade Kristi Shaw. 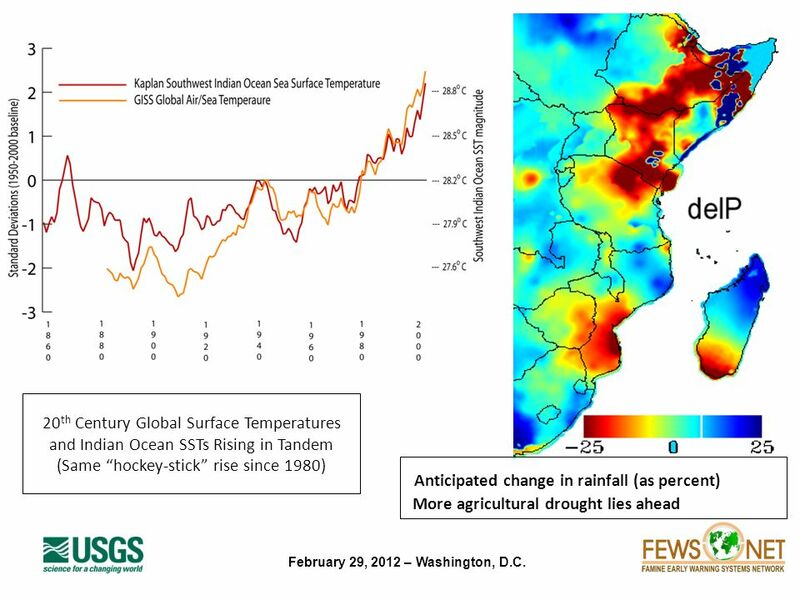 Using Precipitation and Temperature to Model Agriculture Conditions in Africa Eric Wolvovsky NOAA/FEWS-NET July 1, 2008. 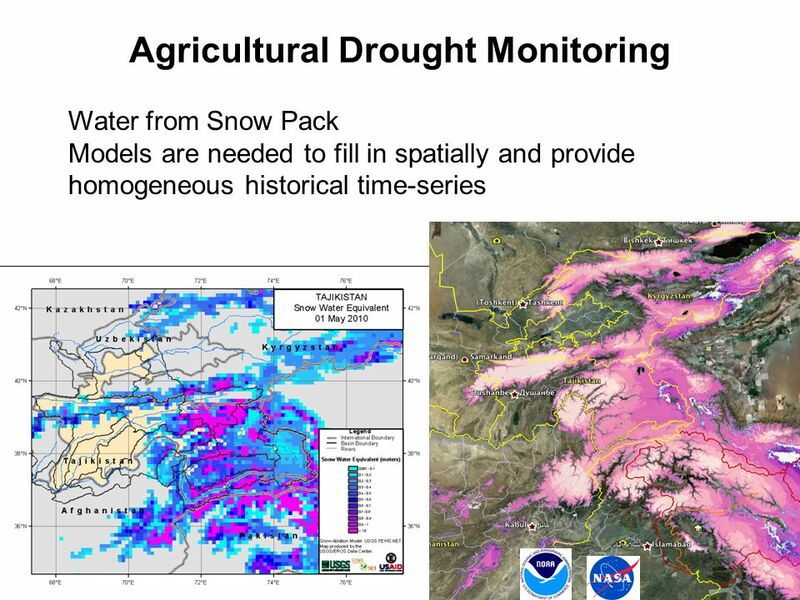 U.S. Department of the Interior U.S. Geological Survey NASA/USDA Workshop on Evapotranspiration April 6, 2011 – Silver Spring, Maryland ET for famine early. U.S. Department of the Interior U.S. Geological Survey February 29, 2012 – Washington, D.C. A GIS Flood Tool for Mapping Extent of Inundation James Verdin.